Location: Just 30 miles from central London, is located within 3,000 acres of stunning Surrey heath and woodland and described by many as the country’s top shooting school with industry-leading coaching. About your host at Bisley At Braidwood: John Heagren, Shooting Manager. Described by the Shooting Gazette as “a master of the art” John has been part of the instructing team at Bisley for the last 20 years, and has been instrumental in growing the world-class teaching at the ground. As Shooting Manager John ensures that all instructors are at the top of their game when it comes to clay or game shooting instruction. John regularly appears in The Field's top 100 game shots and the CPSA Top 20 Sporting shooters list. He also competes at the highest level, having won the Beretta World AA class and been runner up at the UK FITASC championship three times! In 2012 John was ranked UK number 1 in FITASC averages. 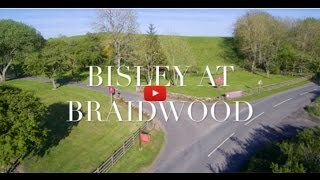 Clay shooting experience at Bisley At Braidwood: Bisley at Braidwood is Scotland’s largest clay pigeon shooting venue. The range is set in a beautiful estate in the Borders of Scotland, overlooking the Eildon Hills, just south of Edinburgh. Whether a novice or a seasoned pro, our professional instructors will make sure you get the most out of your clay pigeon shooting lesson and have a huge amount of fun too. Whether you come to the range on your own, with friends, family or colleagues, we have everything you need for a great day out. Relax in the comfort of the clubhouse, catch up with friends in the cafe or restaurant serving delicious home cooking – or why not look into the retail store or gunroom? Whatever your goals just let us know! Click here for quick link country guide. All lessons include gun hire, professional tuition, clays and cartridges. Lessons start at £43. To select and book the top suggested hotels and accommodation in the area when shooting at Bisley At Braidwood, click here. by car or public transport to Bisley At Braidwood.